Force India Co-Owner Vijay Mallya has slammed Red Bull after both of their cars were excluded from Abu Dhabi qualifying for running an illegal front wing. The two Red Bulls of Daniel Ricciardo and Sebastian Vettel were excluded from the results of qualifying after the front wing flaps of both cars were found faulty and illegal during a post-session inspection. 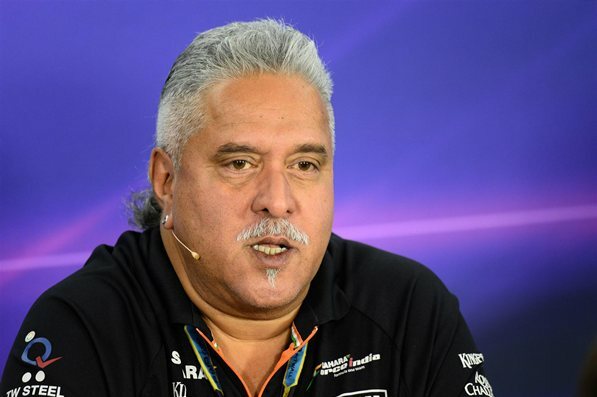 Mallya along with Gerard Lopez of Lotus and Sauber’s Monisha Kaltenborn – met with Bernie Ecclestone and CVC chairman Donald Mackenzie to discuss the current distribution of funds and said the smaller teams had got the attention of F1’s owners. Then, following Red Bull’s exclusion from qualifying for running illegal front wing flaps, Mallya was criticise the four-time world champions. In a series of tweets, Mallya hit back at Red Bull team boss Christian Horner, who recently said that cash-strapped teams such as Force India should ”not turn up to a gunfight with a banana”. Have holders of purse strings and decision makers in F1 become slaves to the whims of the big boys and the contracts? What about F1 sport? Mallya had made clear that he was not happy with some of the comments made by other team owners, especially those who do not have any ownership of the team. F1 news: Williams used radical new Winglet.